A lot (meaning more than a few) is always two words. The phrase is often misspelled as alot. Allot is a verb that means to distribute by lot or shares. 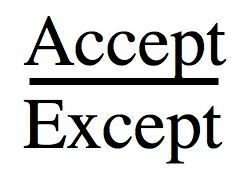 Accept means to receive, or agree with; Except means to omit or to exempt. The two are commonly misused and often interchanged at little cost to standard usage. 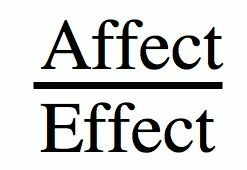 Affect & effect are two highly misused and interchanged terms. As a verb affect means to influence. Effect as a verb means to cause but as a noun means result. All right is always two words. 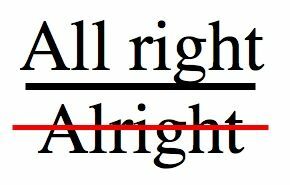 Alright is not a word, although like altogether and already it looks like is should be and spellchecks are strangely allowing it. Back in the day is a saying that simply refers to the past. It's often associated with fond memories and nostalgia of an individual's history and childhood. A bookworm is a slang term for someone who loves to read. 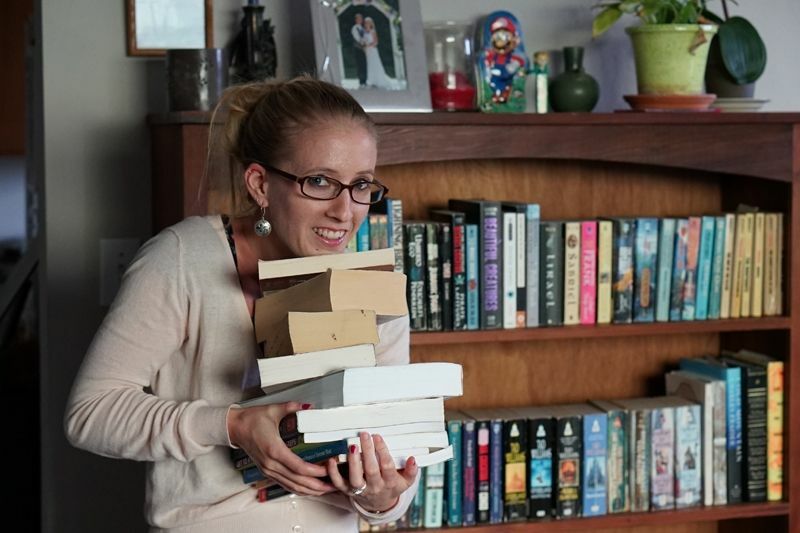 Bookworms are sometimes also fast readers, and often have glasses or a scholarly look about them. Brouhaha (Noun). An uproar, a hubbub, excited public event, turmoil, or social agitation. Usually over a minor incident. Cattywampus is a slang adjective which means unorganized, disorderly, uneven, out of whack, slightly off, ajar, askew, not going according to plan, or chaotic. A compliment sandwich is disapproval smashed in-between two compliments. Really it's just sugar coated criticism, but it does help to lighten the blow. A crepuscular animal is mostly active during twilight, which is at both dusk and dawn. House cats, bats, bears & ocelots are an examples of crepuscular animals.